A smartphone is a very important part of our lives and almost all smartphone users use their phones for many purposes like chatting, web surfing etc. even for shopping, we use a smartphone. Notifications are very important for every smartphone user. No one wants to miss any notification because sometimes they are very important but it’s not guaranteed that we always keep our phone in hands. For example, you are working on laptop and computer and forgot your phone in other room and a notification arrived and you don’t want to leave the work instantly but also want to know that which app sent that notification. So here I am sharing how you can get all your notifications on your desktop or laptop. A desktop Computer or a laptop. Installing Software in computer or laptop. install the Pushbullet Software from OFFICIAL SITE. You can download it for any platform I am Using it in Windows 7. After Downloading it Install it like any other software. Now launch Pushbullet and choose your login option you can choose either Google or Facebook. I used Google for login. 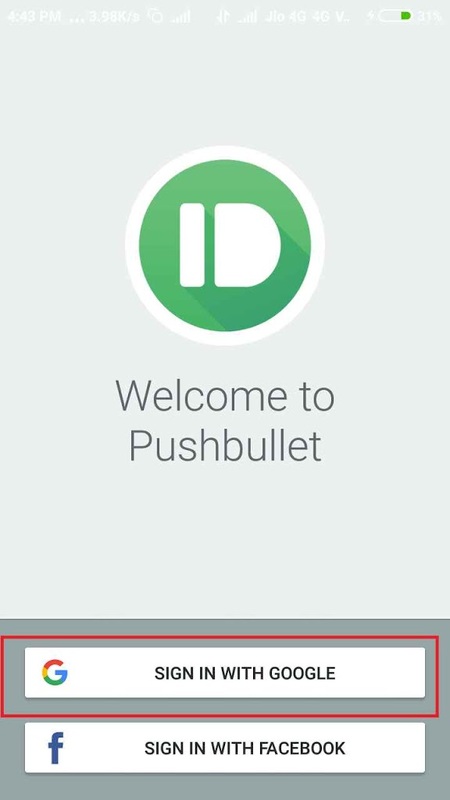 We have installed Pushbullet in Computer now install This APP in your android phone. If you are an iPhone user Click Here. Now you have Done Everything you can see your Computer in Mobile App. For testing purpose, you can send a message from Mobile app and you can see it in your desktop client. You can also Read all SMS Directly on your computer. So this is a detailed article about how you can manage your notifications from a laptop or computer, Hope this is helpful for you.